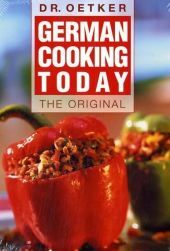 German Cooking Today, the recognized standard work that has had a fixed place in many households for generations, is now available in a new version. With many descriptive recipe photos, step-by-step photographs and of course the precise, detailed instructions of these recipes, the book is exceptionally clear and user-friendly. 303 Seiten, kart.